There are some foods that show up a lot in vegetarian cooking (hello, tofu! ), and quinoa is definitely one of them. Although many people think that quinoa is a grain, it’s actually a seed that’s more closely related to beets and spinach than it is to wheat and other cereals. The reason it’s so popular in vegetarian recipes probably has something to do with the fact that quinoa is high in protein. It also contains healthy amounts of fiber, magnesium, and iron. What’s not to love, right?! Does apple cider vinegar do that? Awesome post! Quinoa is most definitely one of my favorite superfoods! I love the idea of using it in cookies :). Yet another incredibly comprehensive recipe list! This is great Kiersten. 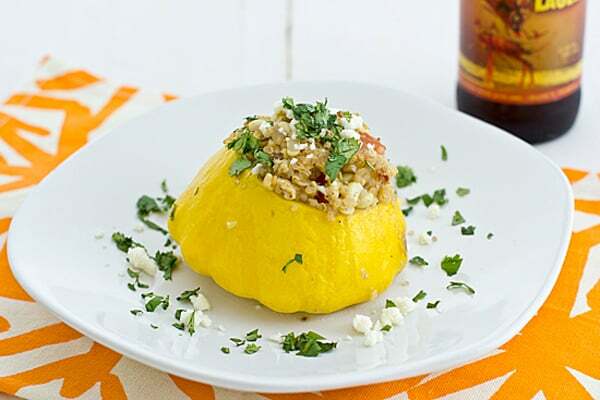 I reckon I could adapt the stuffed pattypan squash recipe into something Greek – it’s definitely got Greek vegetarian potential! Great post! I love quinoa, especially since becoming vegetarian. However, I always eat it with some ambivalence and guilt, given the fact that it has become so popular in the Global North/West, a good number of indigenous Central Americans can no longer afford to consume the crops they grow. However, I clearly have not resolved that given that I do buy it/eat it on occasion. Just thought I might put that out there though, for those who are not aware of the politics of it, but care about ethical eating. I think that Guardian article took some unfair potshots at vegetarians & vegans–it’s definitely a good thing to be mindful of the impacts of globalization, the importance of fair trade, etc., but quinoa certainly isn’t the only crop with these issues and vegetarians & vegans aren’t the only ones to blame. There’s also this article http://www.slate.com/articles/life/food/2013/01/quinoa_bad_for_bolivian_and_peruvian_farmers_ignore_the_media_hand_wringing.html, which brings up some good points too, although I’d guess that the truth lies somewhere in the middle. Oh, and you might be interested in checking out Alter Eco–they sell fair trade quinoa: http://www.alterecofoods.com/products/quinoa. Well it brings in money and helps their economy or they could stop exporting?? Love this protein loaded grain-like seed. Thanks for sharing, Kiersten. Love this post! Thanks for sharing these great recipes! This is quinoa heaven!! I need to make a batch today and try out some recipes. Thanks for including my salad! So helpful and chock full of of recipes. Nice! Thank you for including us in your list! 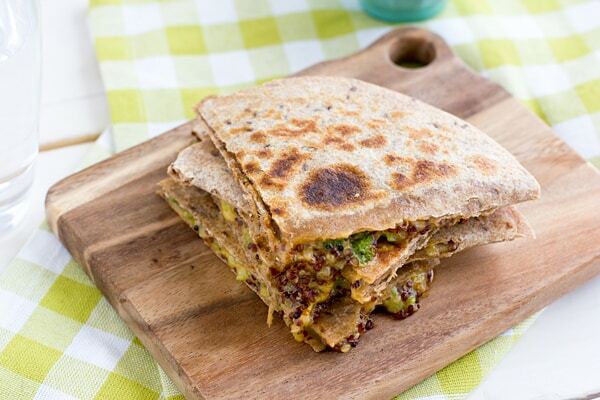 This is an awesome roundup of quinoa recipes! Thank you so much for opening my eyes to the possibilities of quinoa, Kiersten! I’m kind of a newbie to it. Looks like I have lots to try! Love your posts like this, it will take me a while to get through all these links! 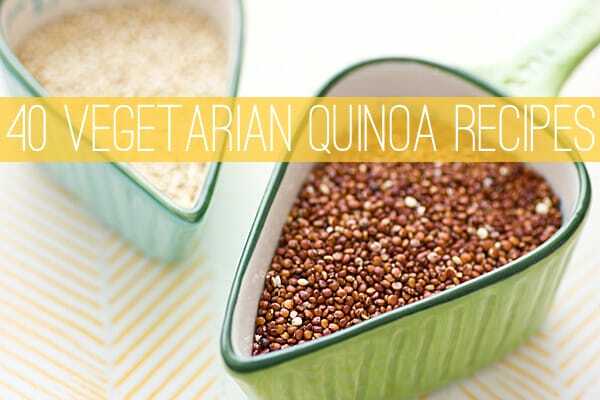 (though I wouldn’t be surprised if I already have a lot of them bookmarked, I love quinoa!) Thanks for including a link to one of mine! Quinoa is one of my faves! Thanks for this, I can never get enough quinoa recipes!! I love your roundups because the always remind me of old posts of yours that I need to make. Muffin top cookies are like the best idea ever. This is a solid round-up…I really need to try cooking quinoa for reals! I love quinoa! And you posted 40 recipes for it! Thank you so so much! You know, I’ve never tried quinoa, but I keep hearing about it, so I think I need to try one of these and soon. I am definitely convince now! What a great collection of Quinoa recipes! I’ve only made quinoa twice and not that successfully. I think it’s time to give it another try. Thanks for putting this collection together! The Kitchn link has some good tips for cooking quinoa. It’s definitely a little bit temperamental! Great list, I love using quinoa, it is very versatile. Quinoa is so yummy and healthy. Thanks for the recipes! I love quinoa, I always cook mine in veggie broth too. I recently learned that quinoa freezes really well too. This is an awesome compilation, can’t wait to browse through those recipes. We love quinoa. We often use it as a substitute for pasta in recipes. 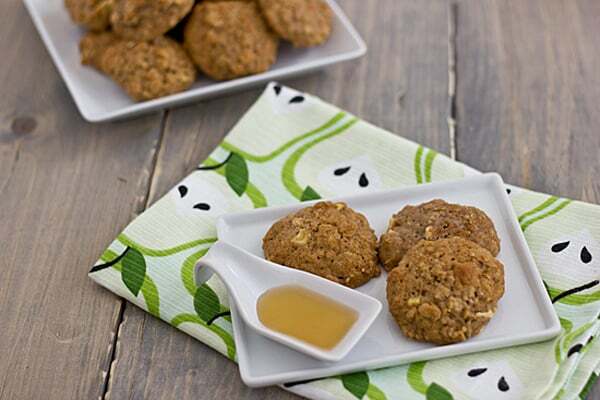 I will definitely be trying the apple quinoa breakfast bites. I think those will be a big hit with my toddlers (who have both hit that “I-won’t-eat-anything-not-even-things-I-loved-5-minutes-ago” phase). Such a great variety of ways to cook with quinoa. All of these look so good. Thanks for giving us so many ideas. These all look so great! 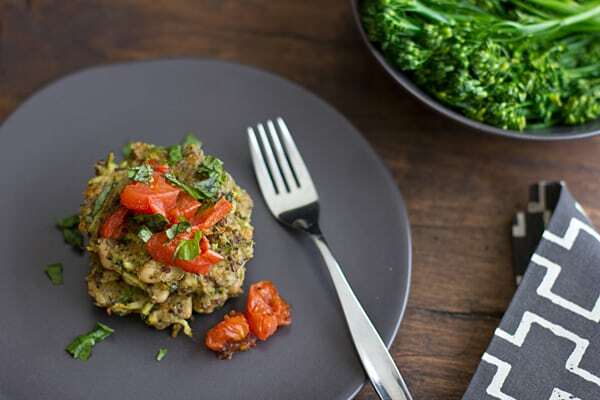 I just posted an amazing quinoa muffin recipes I found. I can’t wait to try some of these ideas!